There’s no shortage of reasons for why fall is objectively the best season of all, but let me add one more piece of evidence to the pile: Fall is when the summer heat finally fades and you can get back to the business of rib-sticking, comfort-food home cooking (and wear the forgiving layers that conceal the effects of all that hearty eating). With Thanksgiving just around the corner, these cookbooks can add some zip to your tried-and-true holiday menu, or get a head start on holiday shopping for your favorite cook. There’s even a cocktail cookbook for the home bartenders! We’ve pulled together the best of the new fall 2018 cookbooks for everybody’s tastes — which will you try first? Literary cocktails — truly, what’s not to love? 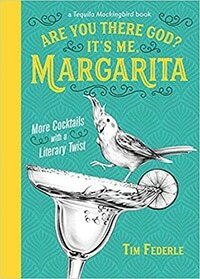 The brilliant minds behind Tequila Mockingbird have returned just in time for the holidays with a new batch of clever drink recipes full of witty puns and reference to delight book lovers. Sip on a 50 Shades of Grey Goose or Handmaid’s Ale while you peruse the snack recipes, drinking games, and charming illustrations. Not only will this come in handy for winter entertaining, it makes a fun hostess gift or a coffee table book to entertain guests. Whatever gets you through the holidays! 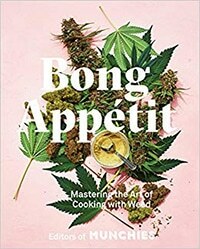 Definitely not to be confused with the more, er, sober Bon Appetit, this 21st-century cookbook focuses entirely on the science of cooking with weed. It teaches home cooks the very basics of infusing oils, butters, milks, and alcohol with pot, and offers a variety of savory and sweet recipes for every time of day. In addition, you’ll learn about the politics of pot, finding the right dosage, and how to mix and match strains and flavors to get the very best results for your palate. Perfect for the hungry stoner in your life, especially if you pair it with a party-size bag of Doritos for gift-giving. From imperfect produce to composting scraps, many home cooks are becoming more and more aware of the impact of food waste on the environment, and trying to take steps to reduce that waste without sacrificing flavor or enjoyment. Lindsay-Jean Hard, author of the “Cooking with Scraps” column on Food52, has collected her accumulated wisdom into cookbook form. She’ll show you how to use what was once considered trash — greens, seeds, stems, tops, and rinds — to improve the dishes you already make and try new techniques you didn’t even know were possible. From using carrot greens to make pesto to whipping the water from canned beans into a vegan-friendly egg-white substitute, you’ll learn lots of new ways to make your kitchen even more efficient. You probably recognize Christopher Kimball from America’s Test Kitchen. 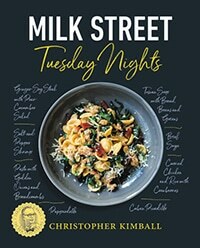 Now, his new cooking site, Milk Street, has put together a huge collection of simple weeknight dinners that promise to be quick and easy enough for harried midweek cooking. And the recipes aren’t boring, either: I like the sound of Peanut-Sesame Noodles, Seared Strip Steak with Almond-Rosemary Salsa Verde, and Vietnamese Meatball Lettuce Wraps. 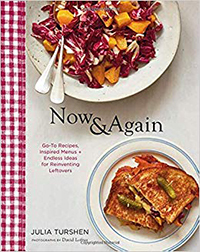 The book is organized by how you cook — some chapters include recipes that are Fast (under an hour), Faster (under 45 minutes) or Fastest (under 25 minutes), while others include themes like Supper Salads and Roast and Simmer. Plus, of course, dessert! A handy helper in your own kitchen or a precious gift of time to your favorite busy cook. Leftovers! So delightful the day after Thanksgiving, and so grim several days later when you’re rooting through the fridge. 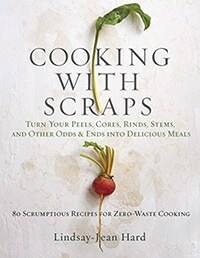 Author Julia Turshen encourages cooks to take a fresh look at giving new life to leftovers. From easy, creative recipes that can scale to feed a crowd to impressive menus for dinner parties with family, friends or holiday entertaining, you’ll never be at a loss for what to serve. And when you inevitably have some leftovers from all that home cooking, her inspired recipes will help you find new ways to use leftover ingredients in new, fresh-feeling dishes. From shopping smart to planning your menu wisely to minimizing waste with day-after recipes, this book will inspire you with holiday bounty rather than holiday bloat. But, you say, you’re not cooking for a big crowd or doing holiday entertaining? You dread recipes scaled for a family of four (and days of eating the same thing) when you’re cooking for yourself? Well, this cookbook will be just right for you. As a busy chef, Anita Lo ironically often ends up cooking just for herself, thanks to the hectic schedule and late hours of her job. 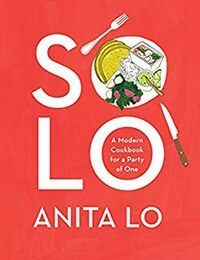 With years of experience in cooking for one, she’s put together this collection of recipes that prove solo cooking can be delicious and even empowering. These 101 recipes are drawn from her own childhood, many years of cooking around the world, and her culinary travels, so you’ll find globally inspired flavors that are achievable and impressive for the home kitchen. Chicken Pho, Slow-Cooker Short Rib with Caramelized Endive, Chicken Tagine with Couscous, and more are ready to be discovered. And if you do find you’re cooking for a bigger group, the recipes can easily be scaled up to feed more. This useful guide to right-sized cooking is sure to be one you’ll pull off the shelf all year round.